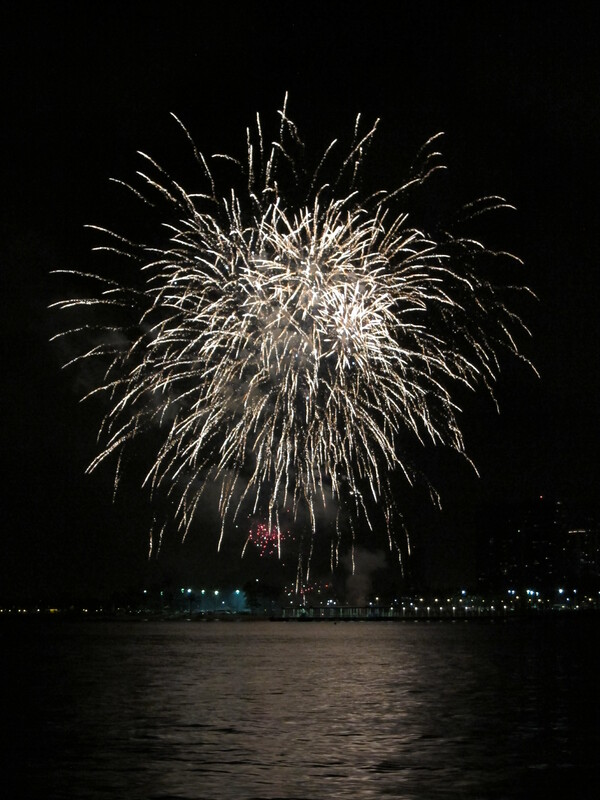 Happy New Year (it is all about the Solstice)! I’m not a Hippie nor do I want us to go back to our Neolithic days. But it is good to remind ourselves that today is the actual date we should be celebrating, and perhaps not the Christmas day and New Year’s Eve which were set by convention and decree. Today is the time of the actual astronomic event that signifies renewal, as has been symbolized by the Evergreen trees (now the Christmas Tree) for thousands of years. 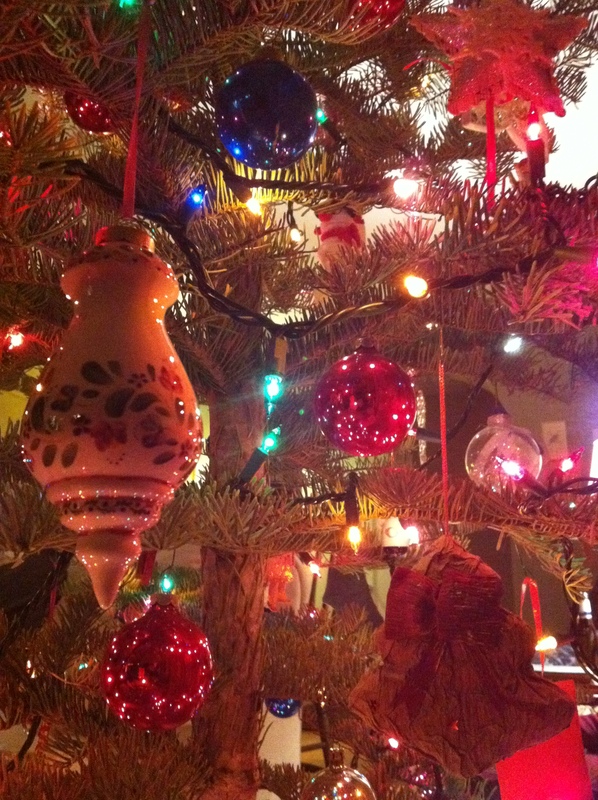 A Christmas Tree in Eugene. December 2011. It is well known that centuries before Christian religion started, cultures brought evergreen trees, plants, and leaves into their homes around the time of the winter solstice. The rituals may have been different for different cultures and at different times of our evolution, but the idea was generally the same: to celebrate the return of life when days start getting longer. Druid priests in Great Britain used evergreen plants in pagan ceremonies. Celtic Druids and Norseman of Scandinavia also used mistletoe in rituals around the winter solstice. And we know about the Neolithic Stonehenge, designed to align with the Sun’s position during the Winter solstice. We know the Egyptians brought green palm leaves into their homes around the time of the winter solstice. And it is well known that the Romans had the Saturnalia, a festival that lasted one week around the time of the Winter Solstice. And Saturnalia was there before Constantine and the year 313, when Constantine issued the Edict of Milan, which proclaimed religious tolerance of all religions throughout the Roman empire (that was the time Romans “became” Christian, by decree). 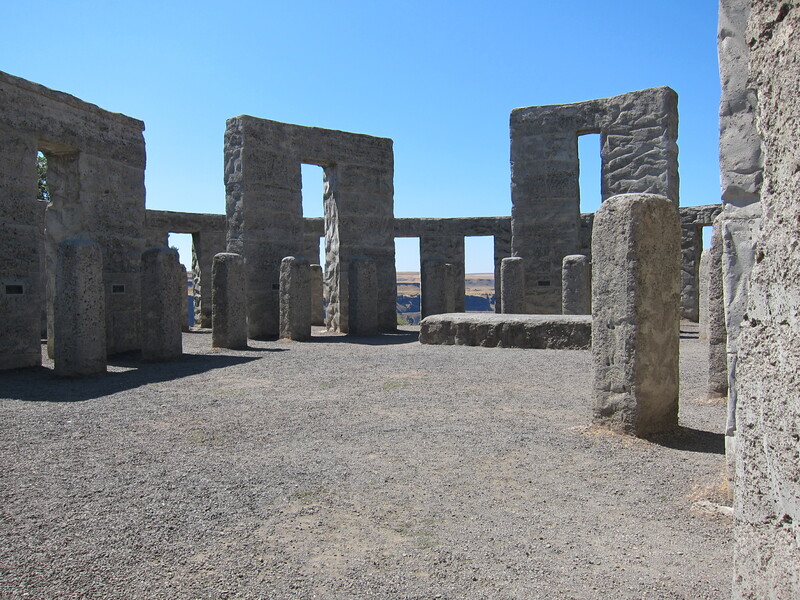 Stonehenge Replica, State of Washington. August 2011. It was only around the 1500’s that the Germans begun using evergreen trees as a pagan symbol of renewal and expectations for the coming of spring which gradually evolved and merged with the celebration of Christmas of today. It doesn’t matter how you approach this holiday. If you are a Christian or a Buddhist or an Atheist, the astronomical event is only one. What matters is that this is a good time for us to think about renewals, and to celebrate the Sun, just like our ancestors did. It is the celebration of the return of the Sun which brings us the energy that maintains life. No matter what your beliefs are about the origins to our existence, the Sun is our life line. 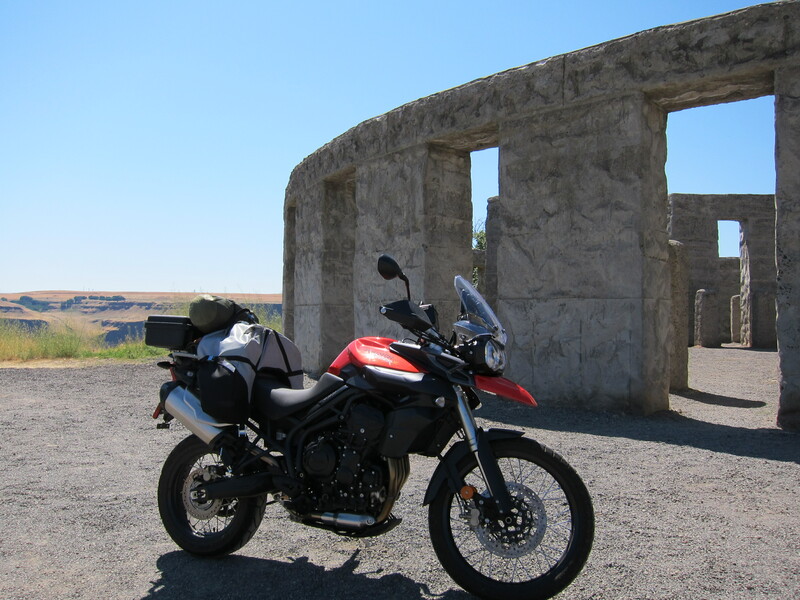 Tiger in front of Stonehenge Replica. State of Washington. August 2011. And of course, for riders in the Northern Hemisphere this is the time we start counting the days till when we will have warmer and sunnier riding days! I wish everyone a New Year, and for the people who ride motorcycles and who live in the high latitudes of the Northern Hemisphere, I wish you a long and fun new riding season. And that it should start as soon as possible! 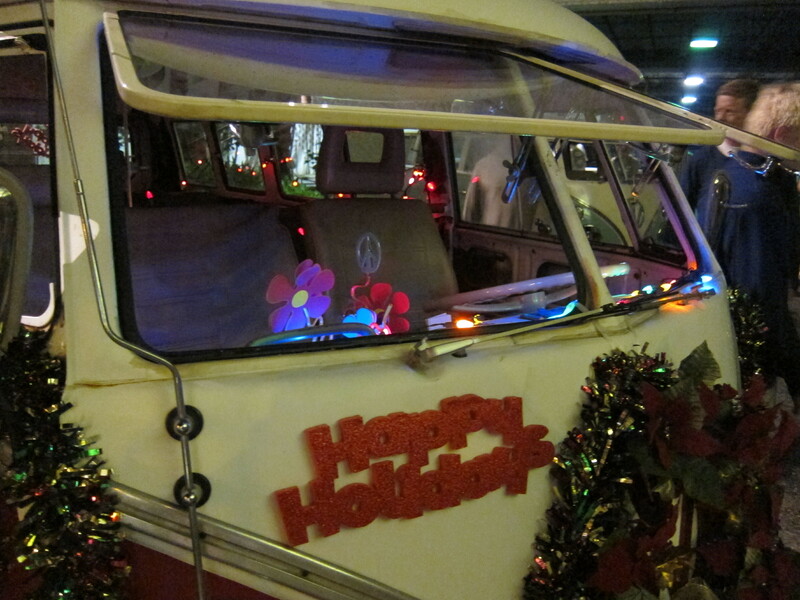 This entry was posted in The Book and tagged Winter solstice. Bookmark the permalink. 3 Responses to Happy New Year (it is all about the Solstice)! I just came across your blog and enjoyed reading it. One correction, though. In winter, we are actually closest to the sun, not farther away. Earth-sun distance has nothing to do with the seasons…it is actually caused by the tilt of the Earth’s axis. And in winter, the Northern Hemisphere is actually tilting away from the sun, causing the most direct rays to fall south of the Equator. Just thought you’d like to know! Thank you Dale, for the positive comments AND for the correction (which I will execute now).